Beginning in the late 18th century, and throughout many decades of the 19th and early 20th centuries, the Bard’s name was often spelled ‘Shakspeare’ or ‘Shakspere.’ The Folger exhibit, “America’s Shakespeare,” doesn’t explain why. Shown here is a Funk & Wagnalls edition from 1927. I can see using Shakespeare to advertise a bookstore, but really, a sewing machine company? Well, actually, yes. The New Home Sewing Machine Co. used Shakespeare for a 1890 promotion, which is part of the fun of the Folger Shakespeare Library’s current exhibit, “America’s Shakespeare,” on display through July 24. It’s a fine exhibit that shouldn’t be missed. However, “America’s Shakespeare” does contain one blatant error that’s like a smear on an otherwise neat, handwritten letter. I’ll come to that later. The exhibit shows how Shakespeare has permeated American culture over the centuries. One standout item is a recommended reading list penned by Thomas Jefferson that includes Shakespeare. Zoom forward to the 20th century and you’ll see Shakespeare in the movies and on television, even to the far reaches of Gilligan’s Island. The exhibit displays posters for Shakespeare performances that span nearly 200 years. Quite a few of these placards spell the Bard’s name as ‘Shakspeare’ rather than ‘Shakespeare.’ The exhibit doesn’t explain why. The short explanation: Some 18th and 19th century scholars concluded that the Bard’s real name was Shakspeare. Why? Because his surviving signatures show that he signed his name Shakspeare (or Shakspere), which is how it appears on his birth, marriage, and funeral records. Eventually, the scholarly consensus went the other way and ‘Shakespeare’—how the name was spelled when his plays were first published—came into dominance. Which raises some questions: If the author’s real name was Shakspeare, why was it ever spelled Shakespeare? If, instead, his real name was Shakespeare, why would he repeatedly misspell it when he signed his own name? I know, some of you are saying Elizabethan’s didn’t care much about spelling. Yes, that’s true, but only up to a point. In the word Shakespeare, dropping the first ‘e’ gives a short vowel sound to the ‘a’ (like “shack”) rather than a long sound (like “shake”). I’ve yet to see multiple examples of Elizabethan text where the ‘a’ remains long when the ‘e’ that follows a consonant is dropped. Without the ‘e’ to make the long ‘a’ sound, a sentence such as “My mate will bake a cake” becomes “My mat will bak a cak.” Elizabethans may have been bad spellers, but their spelling wasn’t that bad—they didn’t write gibberish. So why would William of Stratford not sign his name ‘Shakespeare,’ the way it’s spelled on the plays? One answer, plain and simple, is that he wasn’t Shakespeare; rather, ‘William Shakespeare’ was a pseudonym for the actual author. Mark Twain seriously doubted that William of Stratford was Shakespeare. McCullough isn’t alone. Many have come to doubt that William of Stratford was Shakespeare. Mark Twain was such a doubter. In his last published book, Is Shakespeare Dead? (1909), Twain delivers, with humor, a cogent argument that the Stratfordian wasn’t the Bard. Among other things, Twain observes that William of Stratford never signed his name ‘Shakespeare,’ so if he were the great author, he didn’t know how to spell his own name. While the Folger exhibit is silent about why so many people, for so long, called the playwright Shakspeare, it does address Twain’s views on Shakespeare. Unfortunately, the exhibit sorely misses the mark. 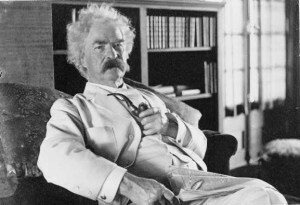 Mark Twain and his family read Shakespeare, and it has been said that he knew Shakespeare’s works “nearly as well as he knew the Bible.” Twain was fully aware how widely the English playwright was known in America. In Huckleberry Finn, he pokes fun at amateur productions of Shakespeare on the Mississippi River. Nevertheless, Twain came to question Shakespeare’s authorship of the plays. In his essay “Is Shakespeare Dead?” Twain proposes that we don’t know enough about Shakespeare to state unconditionally that he wrote the plays and poems attributed to him. But is Clemens fooling with us, as he writes under his pseudonym Twain? It’s hard to know. Is Shakespeare Dead? is essentially a creative response to George Greenwood’s The Shakespeare Problem Restated (1908). Both Twain and Greenwood declare themselves heretics against the orthodox belief that Shakespeare of Stratford wrote the poems and plays attributed to him. They argue their point by removing all the myths and superstitions about [the Stratfordian] Shakespeare’s life and finding in the few known facts that remain no sign or promise of a distinguished literary career. 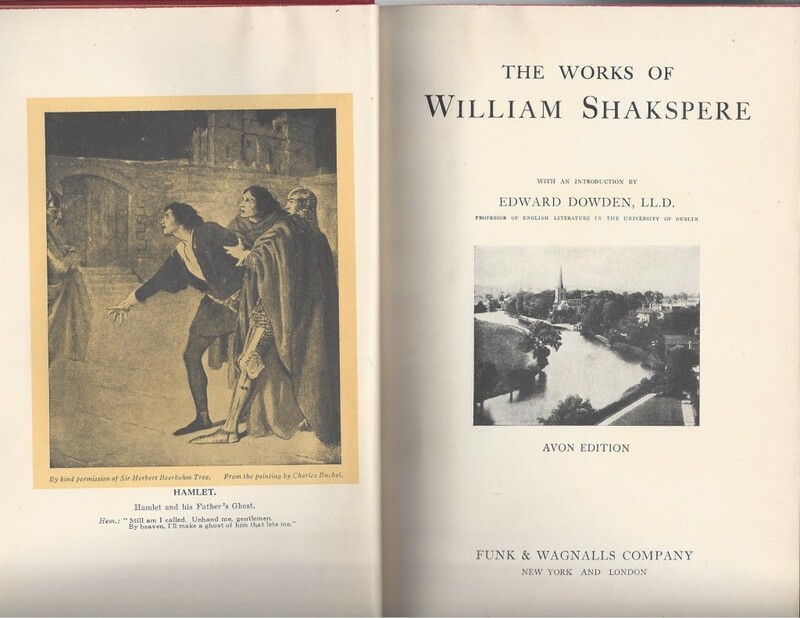 […] In his copy of Greenwood’s book Mark Twain scored the passages which recounted these meagre details about [the Stratfordian] Shakespeare’s life, and he included their contents in chapters III and IV of his own book. [footnote omitted]. He applauded Greenwood’s careful separation of these bare facts from all the conjectures and assumptions that turned [the Stratfordian] Shakespeare into a scholar, a traveler, a soldier, a poet, a classicist, and an aristocrat. Berret spends 20 pages discussing Twain’s interest in the Shakespeare authorship controversy. Anyone who reads them will see that, contrary to the statement in the Folger exhibit, it’s not hard to know that Mark Twain truly thought that the Stratfordian wasn’t Shakespeare.